In this work, Natures Patchwork II tapestry, we see the work of artist Keith Mallett. We see here a still life of vases in deep tones and eachpainted in gorgeous fern leaf designs, with a geometric background which almost looks as if they are glowing to provide a back light to this scene, which is an ingenious effect. There is a pleasing leaf branch placed in the vase to provide a natural motif. 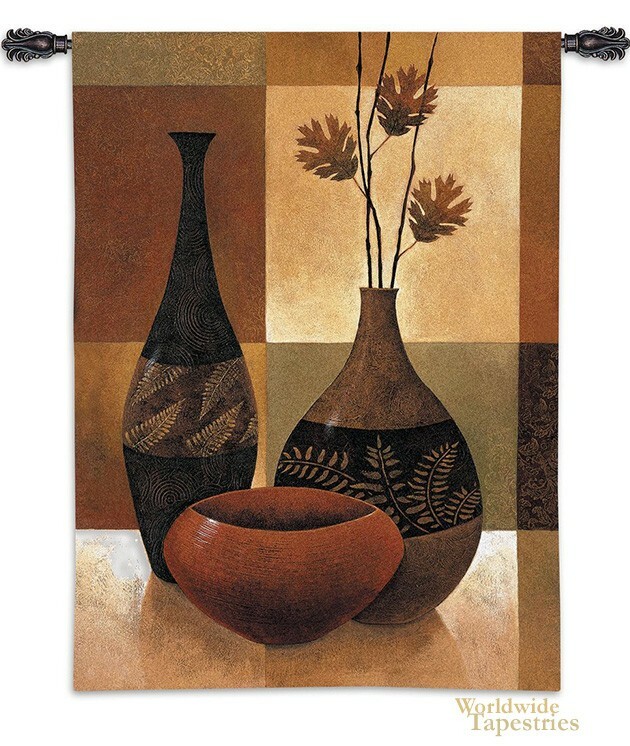 This Natures Patchwork II tapestry is backed with lining and tunnel for easy hanging. Note: tapestry rod and tassels, where pictured, are not included in the price.